Barbieri PNK was founded by Adriano Barbieri in 1983. His first product was a patented chain cleaner, a simple tool that revolutionized how to clean a chain. A few years later Barbieri designed his mini-pump, developing the famous “pompita” that launched the era of mini-pumps, now a major accessory category in the bicycle market. In the years that followed, Adriano’s daughter Nadia and son Kalman joined the company. Kalman handles production and purchasing, and Nadia handles sales and public relations. Barbieri is family owned and operated with headquarters in Bologna, Italy. 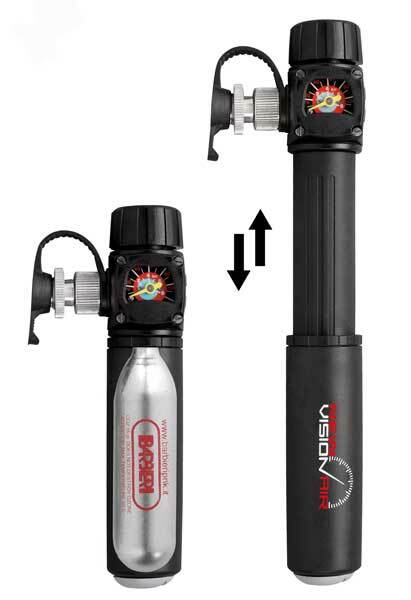 Barbieri has developed and patented several new accessories including the Visionair, a dual-purpose pump that works as a manual pump and with CO2 cartridges, carbon fiber and titanium mini-pumps Carbone, Nana and Nuda, and its latest chain cleaner, Tornado. Today, Barbieri exports its Italian-made products globally and takes part in international trade shows including Eurobike, ExpoBici and Interbike to promote its products and meet with distributors. The Italian company is looking for distributors in the U.S. and Canada. Among Barbieri’s new accessories is its Carbonaria, the first tubeless Presta valve in carbon. At 3 grams for the 35-millimeter valve and 4 grams for the 45-millimeter valve, the Carbonaria is the lightest valve on the market. In addition to being lightweight, the Carbonaria has other innovative features. For example, the two-piece valve set is equipped with four interchangeable rubber seals: 2 round and 2 squares that fit all rims. It also features an ergonomic carbon screw, with the tik-fix system. 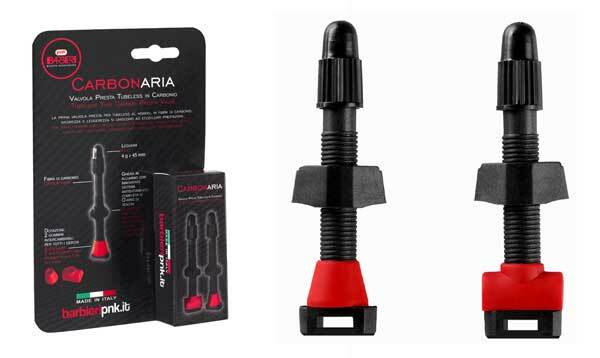 New 2019 features of the Carbonaria valve include a special channel at the base of the valve that allows the air and sealant to pass by — ideal for rim-tire foam protection systems like Anaconda. 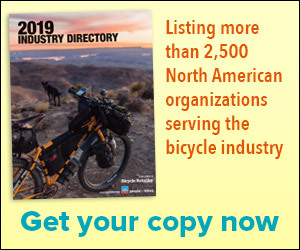 Barbieri recommends Carbonaria valves for all bikes with tubeless wheels and tires, but especially mountain bikes. NEW VISIONAIR. A hand pump + cartridge inflator that allows you to pump by hand first, to make volume and place high pressure later with cartridge. Equipped with pressure gauge. 35mm, the first carbon fiber valve in the world. Now with new hole for air sealant. The smallest and lightest inflator on the market at just 3 centimeters and 14 grams. The first chain cleaner in the world. Created in 1983. Set Equipped with 2 foams + 2 new Carbonaria valves with special hole for air and sealant. Inserted in tubeless tires, ANACONDA foam helps to prevent tire burping, breaking or denting rims, or damaging tires. In case of puncture, it prevents sudden and dangerous drops in pressure that could result in a crash. Moreover, even if punctured, you can still continue to ride for a certain distance. You can inflate the tubeless to slightly lower pressures to improve traction. Easy to mount in 1 minute. Video instructions below show how easy it is. Retailers can order directly from Barbieri at www.barbieripnk.it.